Unlike a bottle of fine wine, people don’t just naturally get better with age. We have to work at developing and growing personally and professionally. 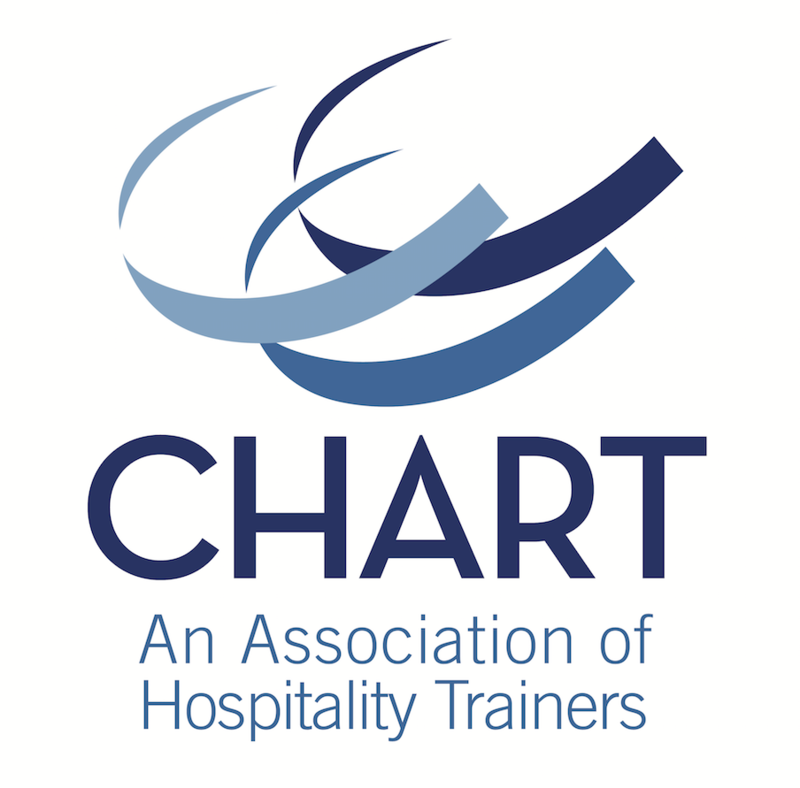 For hospitality trainers, CHART makes this “work” an impactful life- and career-changing experience. Join us at CHART 99 for three days of immersion in competency-based training, high-quality connections, and the celebration of personal and professional development. Register today! 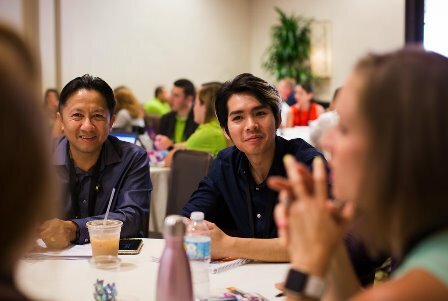 This conference – designed by trainers for trainers – is the one place hospitality training professionals gather to learn, connect, and grow. Where you can discover your true potential. #1 The hospitality training and Human Resources professional. If you are employed by a multi-unit lodging, foodservice or other hospitality operation, and have the responsibility to create, implement, or oversee programs for education, training and developing human resources - this event is for you. You will be amazed at how many people you connect with who have walked in your shoes and want to share and help. What makes CHART so unique is the vibrant, dedicated membership, combined with the fresh perspectives of new attendees. These are people just like you who are looking to improve performance for themselves and their organizations, are high energy, and enjoy having fun. This is a great opportunity to connect, share ideas, brainstorm, and amplify your personal and professional development with your peers, and legends and leaders in hospitality training. #2 Are you new to hospitality training? No worries, we've got you. 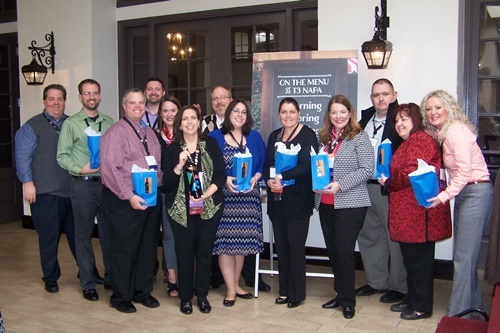 We have an onboarding program just for First Time Attendees to help you feel welcome from the start and get a jump on how to make the most of your conference experience. Plus, much of the content is designed so you can quickly learn best practices and new techniques. #1 Discover the transformative power of immersing yourself in competency-based training. When you make time for your own professional development, some amazing growth happens. In our valuable winter conference T3 format, all 12 of CHART’s competency certificate workshops will be offered along with our keynote sessions, hot industry topic breakout sessions, team-building activities, networking opportunities, Resource Gallery Expo, and more. 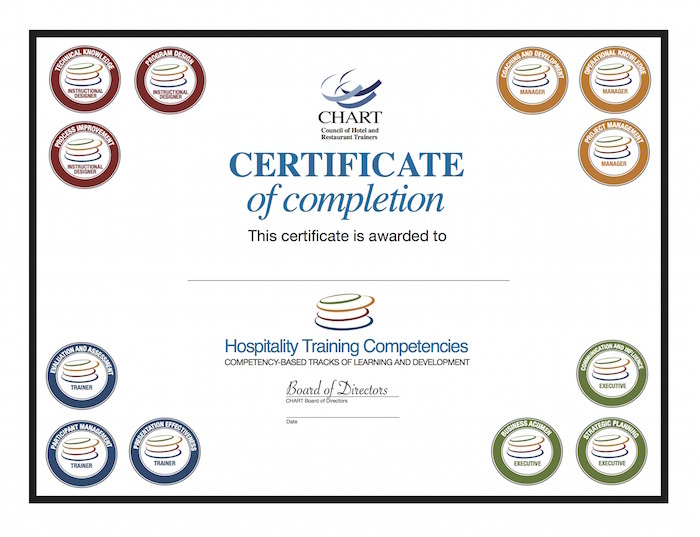 Our four competencies tracks cover the major roles in hospitality training: Executive, Manager, Trainer, and Instructional Designer. Complete these workshops and tracks, and gain immediate recognition for your achievement through print-on-demand certificates. 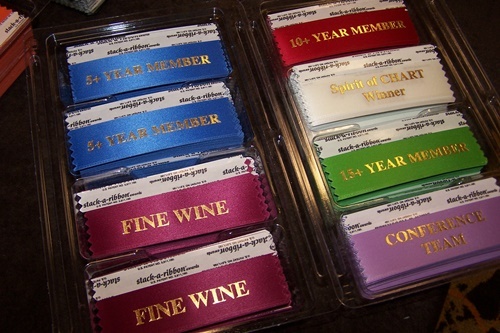 Our beautifully designed pins will also be awarded in Napa Valley. If you have taken CHART Competencies in the past, you can log in to the CHART LMS System to see what you have completed and plan your development for the year. And if you are new, our LMS is an easy and convenient way to track your progress. #2 Develop a trusted network and lasting relationships you can draw upon for years to come. Networking doesn't even begin to describe what happens at CHART. CHART is renowned for its sharing format, where your time to interact with others is woven throughout the agenda. This ensures you will make high-quality connections and even great friendships that last well beyond conference time. 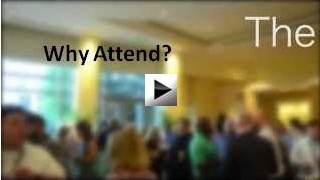 #3 Experience an amazing conference value with your ROI in mind. CHART strives to keep costs low to keep attendance well within your training department's budget. CHART conferences feature central locations in off-peak times, low room rates, most of the meals, and three nights of refreshments in the Hospitality Suite. Not to mention the educational content! #4 Enjoy the legendary spirit of Napa Valley. You can soak up more than breathtaking views in this magical location. They say it is a place so quiet you can hear daylight coming. 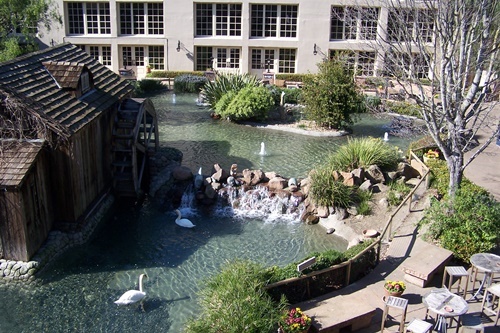 And the lovely Embassy Suites is an intimate, restorative place where CHART attendees can relax and focus on themselves and each other for a few days. Join us to experience some reflective time for growth in this space apart. View video about Napa Valley. Need to make your case to attend? Need To Make Your Case? - Download a draft letter to your supervisor listing the networking, resources, solutions and information that you will be bringing back to your company from CHART. Customize it to include the specific sessions of interest to you and your organization. Email allison@chart.org for information on how you can participate in this industry event. If you need further assistance, email allison@chart.org. Cancellations received by February 7, 2020 will receive a refund less a $150 administration fee. No refunds after February 7, 2020. Room Block expires January 27, 2020, but the room block could fill up before that. Please reserve early. Discounted CHART room rate is $249 for Saturday and $179 for Sunday and Monday.